We have emerged as the leading manufacturers & suppliers of optimum quality Pipe Mould. 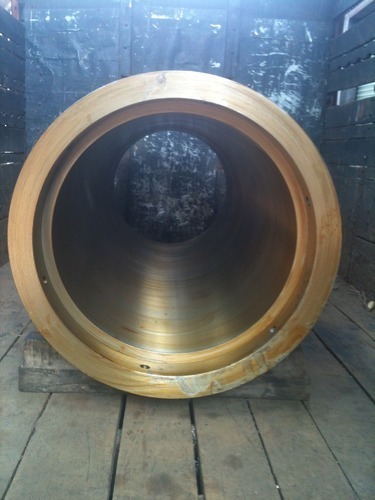 Our pipe is checked by our quality experts on different quality parameters to assure defect free dispatch. Customers can avail this pipe from us in several specifications according to their need. We manufacture this pipe from the utmost quality of material & modern techniques. Permanent Steel Mould, 1 set each to include Main mould body, removable end plates, and mould hardware as per our design. Founded in the year 1980, Gautam Industries is engaged in the business of manufacturing and supplying a wide range of Hydraulic Cylinders & Metal Extrusion Press. Our offered range of hydraulic cylinders, forged components, alloy steel tubes, Babbitt Bearings etc. These products are designed using high grade quality material in accordance with the international accepted quality guidelines. Moreover, our all product assortment is broadly admired due to their high performance, resistance to corrosion and sturdy construction features. As a patron centric firm, we aim to giving the high level customer satisfaction to our patrons by offering them quality proven products. We have appointed a team of talented professionals, which deliver only fault free range of these products at the patron end within the assured frame of time. Owing to the timely delivery of orders and ethical business rules, we have been able to create huge patrons in a short span of time.